The regular city election shall be held at the time established by state law on the Uniform Election Date, in May of 2013, and every 2 years thereafter. Registered Voter Defined. 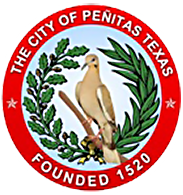 All citizens legally registered under the constitution and laws of the state of Texas to vote in the city shall be registered voters of the city within the meaning of this charter. Conduct of Elections. The provisions of the general election laws of the state of Texas shall apply to elections held under this charter. All elections provided for by the charter shall be conducted by the election authorities established by law. Candidates shall run for office without party designation. For the conduct of city elections, for the prevention of fraud in such elections and for the recount of ballots in cases of doubt or fraud, the city council shall adopt ordinances consistent with law and this charter, and the election authorities may adopt further regulations consistent with law and this charter and the ordinances of the council. Such ordinances and regulations pertaining to elections shall be publicized in the manner of city ordinances generally. Election by Majority Vote. The council shall be elected by a majority vote. Beginning of term. The terms of council members shall begin the 5th day after their election.